Arne Reinhardt was born in 1969 in Weimar and grew up in Leipzig. He trained and worked as a wood model builder before studying photography at Hochschule für Grafik und Buchkunst under Helfried Strauß and Tim Rautert, finishing his studies under Astrid Klein. Since 1998 he has worked as a freelance artist in Leipzig and Berlin, winning numerous competitions for architectural art allowing him to create his works. Arne Reinhardt first discovered photography in the darkroom of some friends, and was immediately taken by the possibilities of expression inherent in pictures. This feeling of freedom of expression continues to motivate him, even within digital photography. During his time as a student he acted in plays and pantomimes at Universität Leipzig, where he was also employed as the theatre’s photographer. After his work was first published in newspapers he began to exhibit and do assignments, with photography becoming a large part of his life. In 2004 and 2005 Arne Reinhardt completed a year long Postgraduate Art Degree at Statens Kunstakademi in Oslo thanks to a DAAD grant. During this time he focused on the limits of the relationship between humans and nature, creating installations, photographs, and sculptures. He explored answers to his questions about the artificial and the natural in humans, not least through the birth of his daughter. 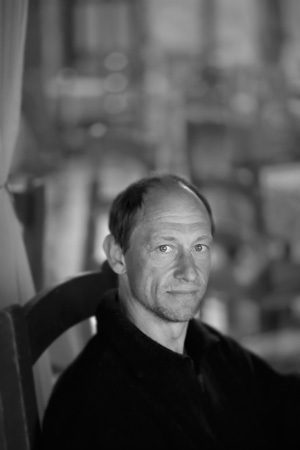 From 2002 until 2004 he taught photography at Jugendkunstschule in Neuruppin, and 2005 at Oslo Fotokunstskole AS, and has been lecturer for Photographic Techniques at the Neue Schule für Fotografie since 2008. In his classes he likes to support students’ potential and encourage them to expand their knowledge, and to achieve freedom of artistic expression through skills and understanding. Passing on his knowledge and experience in artistic and applied photography gives him just as much pleasure as exploring the possibilities through his own work. For Arne Reinhardt, realising photographic ideas, is a question of technique and the heart. In his classes he deals with the limits and possibilities of photography. With basic technical knowledge he builds an understanding of the correlation between light, equipment, and digital editing. always keeping the image in mind. With students he works on the use of sunlight, artificial light, and studio strobes, teaching their particular properties through practical exercises.